I get dozens of emails every week from people asking for career advice in web analytics. So I thought why not dedicate a whole article on answering these burning questions and also ask the top industry experts about it. They are lot of people who are not really sure what they should be learning in digital analytics and marketing. So they try to learn everything. Not only they are trying to learn everything but they are also trying hard to master everything. Like they really need to know everything in great detail in order to succeed in their career. Your learning objectives should be tied to your career goals and your strength. Do you want to go into the technical side or non-technical side of web analytics? The technical side deal with implementation stuff: installing/ fixing tracking on a website. The non-technical side involves creating strategies, framework, conversion optimization, data analysis and reporting. These two are entirely different career paths within the web analytics field and require entirely different skill sets to succeed. 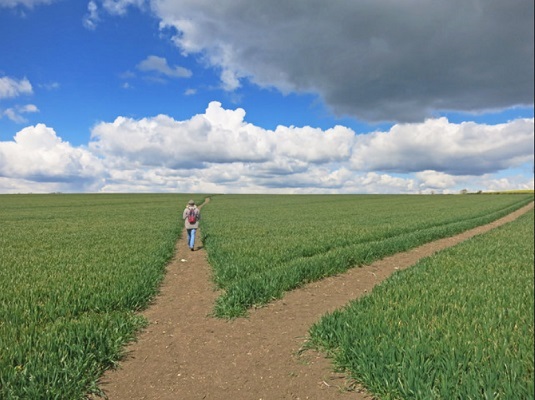 Choosing one career path means abandoning the other path. I don’t want you to be in a situation where you invested significant amount of your time and resources in developing skills in a field, only to find later this is not something you really want/enjoy doing for a living. See, web analytics is a very broad field. There are so many ‘things that you can learn and master. But if you are not going to use them on daily basis, in your professional life then what’s the point of mastering them? For example, what’s the point of learning GTM in great detail, if you use it only for one off work? What’s the point of learning all those GTM tricks and hacks which you don’t have any need to use in the immediate future? If you want to go into the technical side of web analytics then you are planning to become a GA developer whose job is to set up/fix website tracking issues on daily basis. Here you would be creating ETL functions with or without Google Tag Manager (GTM). Here in-depth GTM training is really helpful for you. If your course instructor is not teaching you (and most don’t) these things but still claim to make you a master of GTM then you picked up the wrong training course. That’s the reason I don’t teach GTM in our web analytics training program. This stuff is too technical for most people and I don’t want to make false promises of making you a master in GTM when it is not really possible. Do I have a strong coding background? Was I a developer before I moved into web analytics? Do I have the inclination and/or the capacity to learn to code for the foreseeable future? Do I really enjoy traversing the DOM, setting/up fixing data layers, adding/editing code, dealing with developers on daily basis? If your answer to any of this question is ‘No’ then don’t go technical. You would be shooting yourself in the foot by planning to become a GA developer. People grossly underestimate the technicality involved in setting up/fixing website tracking issues. They actually believe that they can learn all this in just couple of weeks/months. It takes years and decades to learn all of this stuff. I know that because i have been doing all of this for over a decade now. I deal with developers all of the time. And I have worked on setting up/fixing tracking on countless websites. I know the technicality involved. The technical side of web analytics is lot more harder than you think. Even seasoned developers with decades of experience struggle with code and technical issues. It is not easy at all. All of the people who give you advice to “go technical’ in web analytics have got strong coding background and are more or less one trick ponies. They can’t think beyond that. That’s their limitation. They can’t really fathom the non technical side of analytics. They truly believe that, what they do is website analysis. But what they are basically doing is, development work. It is a different type of development work but it still a development work. That is because, if you are not familiar with the server side language used by your client and/or the client’s development environment or database, then you will need the help of client’s IT/web developer, to add server side code to your data layers or to query their database for you. 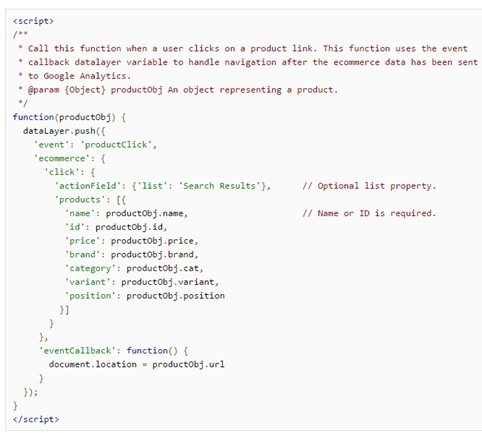 Without adding server side code to GTM data layers, you can’t implement / debug many of the sophisticated trackings (like ‘enhanced ecommerce tracking’) in GA via GTM. Thus you must also have the ability to communicate well with developers, in the language they understand. When you work with them, they are going to ask you lot of technical questions under the assumption that you are already familiar with the technology they use. Technical projects usually do not last for more than couple of weeks. Thus there is little to no possibility of generating monthly recurring revenue from a client. You would need a constant flow of new clients each month. As an individual, you will most likely max out after 10 clients. As an agency, you will most likely max out after 100 clients. So you can scale your business and income only to an extent. There is a glass ceiling. Plugins and automation are a big threat to the people who work in the technical side of web analytics. For example, many shopping carts have now got enhanced ecommerce tracking built in. They are many plugins available in the market through which you can easily install GA, GTM, event tracking, enhanced ecommerce tracking etc in just few steps. More and more CMS, Shopping Carts and CRMs are now natively integrating with Google Analytics and GTM and thus eliminating the need to integrate with GA manually. Tools like ‘segment’ have started to threaten the very existence of Google Tag Manager. Every couple of weeks, some new plugin pop up in the market which automate certain aspect of tracking. All these tools and technologies are reducing demand for the website tracking services. And when there is more supply than demand, competition becomes fierce and market value goes down. So then you can’t charge more. Automation is and will hit the technical side of web analytics the hardest in the coming years. To make matter worse, lot of seasoned web developers with decades of experience from all over the world, are now on their way to become GA developer. And it is not very hard for them to quickly acquire the skills necessary because of their strong coding background. As a ‘would-be Google Analytics developer’, you would be directly or indirectly competing with seasoned developers with decades of experience in coding from all over the world. As a GA developer you are not very hard to replace, as skilled and cheap labor is easily available in other parts of the world. You would be doing the same work which can be outsourced to the third world for rock bottom price. Therefore you may have hard time commanding a disproportionately large salary in the near future. Should you go into the non-technical side of web analytics? If you want to go into the non-technical side of web analytics then you need to learn to analyze and interpret data. Then you need to learn the maths and stats behind web analytics. This is where conversion optimization, A/B testing, maths and statistics etc come into the picture. This is where web analytics training is going to help you. This is where you learn to use the practical application of Google Analytics. If you want a career which is both intellectually stimulating and financially rewarding, then learn and master the non-technical side of web analytics where you analyze data, carry out A/B tests, conversion optimization etc. Because that kind of work is directly tied to improving the business bottomline and has got tremendous market value. This is the kind of work which can not be easily outsourced to the third world. You will face less competition (in comparison to GA developers) and get more opportunities, as good web analysts / optimizers are still short in supply and great in demand. No one is going to pay you tens of thousands of dollars for setting up enhanced ecommerce tracking. Just forget about that. But you might get a conversion optimization project, where you can charge say $40k. The money really flows in the non-technical side of web analytics. And unlike the technical side, you can generate monthly recurring revenue from clients. For majority of people, you would be better off, sticking to the non-technical side. If you have to choose between working on your strength or working on your weakness then choose strength. “It is far more lucrative and fun to leverage your strengths instead of attempting to fix all the chinks in your armor. The choice is between multiplication of results using strengths or incremental improvement fixing weaknesses that will, at best, become mediocre. People working in the non-technical side of web analytics have their own unique challenges. Machine learning based tools are going to be both the boon and the biggest threat in the near future. Learn from existing and new data without being explicitly programmed. Automatically apply what they have learned to the new data. Draw inferences from data sets and make predictions about future outcomes/events. For example, both ‘Amazon’ and ‘Netflix’ use machine learning for its recommendation engines. Facebook uses machine learning to produce its news feed. Google Adwords use machine learning to execute automated bidding strategies. Google Analytics use machine learning to produce data driven attribution model. Many tools based on behavioral/marketing automation like: Bounce exchange, Infer, giosg etc use machine learning. Optimization tools powered by machine learning can do many things which humans can not do. #1 Machine learning based tool can generate product recommendations which are personalized for each visitor of your website. So different users are likely to see different products being recommended on the same landing page, at the same time and in the same geolocation. This is called real time personalization which has increased Amazon’s sales by 35%. #2 Machine learning based tool can adjust pricing and offers in real time to maximize conversions. So different people can see different prices and promotions/offers for the same product, at the same time and in the same geo location. If your propensity of buying a product is zero, you may not see any offer as your buying behavior can not be modified by any treatment (sales, discount). If your propensity of buying a product is very high, you may not need any treatment (sales, discount) to guide you, towards purchase. In that case you may not see any offer. When you are already eager to buy then why offer any discount and reduce the average order value. If your propensity of buying a product is high but you are not completely sure, you are a candidate who may need a treatment (sales, discount) to guide you towards purchase. In that case you are most likely to see an offer. So as you can see there are many things which machine learning tools can do that humans can not do. Having said that, it doesn’t mean that machine learning will completely remove humans from the equation, at least not any time soon. But in the near future, machine learning based tools are going to be widely used to optimize websites for conversions. And they will be used, not just by big players (like Google and Facebook) but also by small and medium size businesses. This could eliminate many manual tasks in conversion optimization, most notably A/B testing. When you have to really deal with both technical and non-technical side is, when you are dealing with data science which is used in business intelligence (BI). Business Intelligence is not web analytics. It is a completely different field. So do not get confused here. You do not need to learn ‘R, ‘supply chain analytics’, ‘stakeholder management’,‘predictive analytics’ etc in order to become a web analyst. Those who give you such advice are confused. They can’t differentiate between BI and Web Analytics. Should you go into the training side of web analytics? The training side of web analytics involves training and educating people about web analytics and/or digital marketing. This training can be in the form of: one-on-one coaching, group coaching, online coaching, courses, webinars, workshops etc. If you have been in the web analytics and digital marketing industry for at least 5 years and you genuinely like helping people then you qualify to go into the training side of web analytics. Here you can start with one on one coaching. Then graduate to group coaching and then finally to online self paced courses. But why at least 5 years? According to my experience, you need at least that many years of experience in order to coach people web analytics and/or digital marketing. A lot of money can be made in the training side of web analytics. In fact you can make the most amount of money (6, 7 or even 8 figures a year) in your analytics career by providing training to others. Ideally this should be the final stage of your web analytics career where you have acquired so much experience and knowledge that now you are ready to share it with others. What is the difference between Web Analytics and Google Analytics? Web Analytics is the core skill. Google Analytics is just a tool used to implement ‘Web Analytics’. You can also implement ‘web analytics’ via other tools like ‘adobe analytics’, ‘kissmetrics’ etc. Using Google Analytics without the good understanding of ‘web analytics’ is like driving around in a car, in a big city without understanding the traffic rules and road signs. You are either likely to end up somewhere other than your destination or get involved in an accident. You learn data analysis and interpretation from web analytics and not from Google Analytics. The direction in which your analysis will move, will determine the direction in which your marketing campaigns and eventually your company will move to get the highest possible return on investment. You get that direction from ‘web analytics’ and not from ‘Google Analytics’. You learn to set up KPIs, strategies and measurement framework for your business from ‘web analytics’ and not from ‘Google Analytics’. So if you are taking a course only on “Google Analytics’, you are learning to use one of the tools of ‘web analytics’. You are not learning the ‘web analytics’ itself. 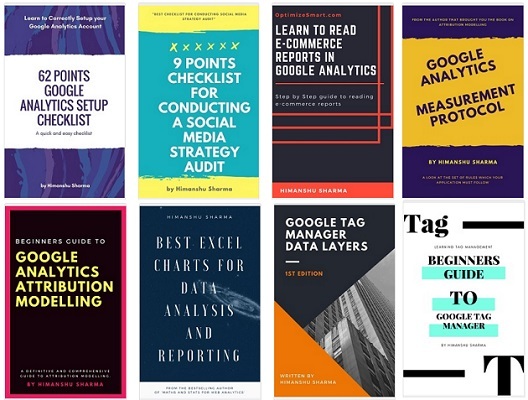 Since any person can learn to use Google Analytics in couple of weeks, you do no get any competitive advantage in the marketplace just by knowing GA. You need to know lot more than GA in order to work as a Web Analyst. What is the difference between Web Analytics and Conversion Optimization? Web Analytics is the core discipline. Conversion optimization is one of the application of web analytics. Web Analytics is like grammar and words, and conversion optimization is the language based on that grammar. So if you try to speak conversion optimization without knowing the grammar, you are going to speak it all wrong. So for a start, you could be saying conversion ‘rate’ optimization all this time. When the proper name is ‘conversion optimization’ (and there is a good reasoning behind that). In fact, you can run A/B tests 24 hours a day, 7 days a week, 365 days a year and still won’t see any improvement in sales if you don’t understand the statistics behind such tests. Data sampling issues, underpowered hypothesis, statistical significance issues, underpowered tests, overpowered tests, poor data sample, confounding variables etc can easily skew your test results and give you imaginary lifts which will never translate into actual sales. Web analytics is about analyzing and interpreting data, setting up goals, strategies and KPIs. It’s about creating strategic roadmap for your business. Its about the maths and stats. Conversion optimization deals with on site optimization where web page designs are evaluated and optimized for conversions through ‘voice of customers analysis’. As such, conversion optimization is a subset of web analytics. If you are strong in web analytics but weak in conversion optimization, you can still do well. But if you are weak in web analytics, you are destined to fail in conversion optimization. Because you lack basic understanding of how data works, how number and ratio metrics work, how to analyze and interpret data. You won’t understand data sampling issues, you won’t understand statistical significance issues with ratio metric like conversion rate. Then anything you do in conversion optimization is not based on maths and stats but the best practices borrowed from other optimizers. What separates one optimizer from the other, is actually the interpretation of data. How they read the data and gather insight to drive sales. Any person can learn to do A/B testing in couple of hours. But that does not mean they can actually benefit from it. Because poor data interpretation result in poor insight. Should you charge a fixed fees per project or should you charge hourly? Allow me to tell you a little bit more about how I charge and why I charge that way esp. for technical projects. I charge for my expertise and not for my time. I charge a fixed fees from the client which is for producing the result they want and give them an approx. timeframe of the delivery of results (usually measured in weeks) without mentioning the number of hours it is going to take to complete the project. It is not that I don’t care about the time involved but most of the time I already know the number of hours it may take to complete a particular task. I have been in this business for more than a decade now and have worked with countless clients on countless projects. And I never charged any client by the hour from the very beginning of my career to this date. Billing by the hour is just as nonsensical to me as billing by the pixel, or by the line of code, or by the color. They are arbitrary units of measure that have nothing whatsoever to do with the outcome of the work. No client cares, how many hours you worked. All they care about is the end result. Besides, a client has no way of knowing whether you really worked that many hours and whether the task really takes that many hours. Some people are able to complete the task within a hour which others may take days or weeks. And I have seen first hand, how some developers are able to complete a particular task in few minutes while others take weeks to complete the same task. It all depends upon their level of experience and expertise. It is in your best interest to bill as many hours as possible. And it is in client’s best interest not that to happen. So you see there is a conflict of interest here which could result in dispute regarding the number of hours being billed. I try to avoid all such headache by not charging by the hour. It also limit my earning potential, if I charge by the hour. For example, if I charge by the hour, I cannot justify charging hundreds or thousands of dollars for a 10 minute work. If I do not charge by the hour, I can easily justify charging hundreds or thousands of dollars for a 10 minute work because then I am charging for my expertise and not for my time. If I do not charge by the hour, I can take on more projects than I can realistically handle all at once. I get the time freedom because I can give the timeframe of delivering results in weeks even if it is just few hours/days work (if done in one sitting) and the clients do not care how long it takes because they are not being billed every hour. 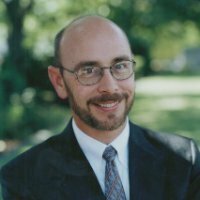 Jim Sterne is the founder of the eMetrics Marketing Optimization Summit and co-founder of Digital Analytics Association. He is an internationally known speaker and consultant to Fortune 500 companies and Internet entrepreneurs. Sterne focuses his 20+ years in sales and marketing on measuring the value of a web site as a medium for creating and strengthening customer relationships. 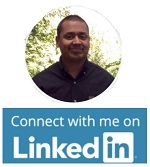 He has written several books on Internet advertising, marketing, customer service, email marketing and web analytics. 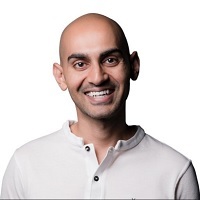 Neil Patel is the co-founder of two internet companies: Crazy Egg and KISSmetrics. Through his entrepreneurial career he has helped large corporations such as Amazon, AOL, GM, HP and Viacom make more money from the web. By the age of 21 not only was he named one of the top influencers on the web according to the Wall Street Journal, but he was also named one of the top entrepreneurs in the nation by Entrepreneur Magazine. He has also been recognised as a top 100 entrepreneur under the age of 30 by former US President Barack Obama. Gary Angel is the CEO and Founder at Digital Mortar. His ground-breaking work in hands-on web analytics includes the development of Functionalism, pioneering work in the creation of SEM analytics as a discipline and numerous methodological improvements to the field of web analytics and the study of online behavior. 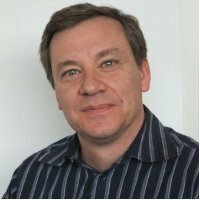 He is the recipient of the Digital Analytics Association’s Award for Excellence as the Most Influential Industry Contributor. What sort of skills and qualifications are required to become a good digital analyst? 1. An understanding of the data. Where did the bits come from? What do they really represent? How trustworthy are they? 2. An understanding of the problem to be solved. What insights are useful rather than merely interesting? 3. An ability to communicate well. Valuable, useful insights are worthless if they are not shared convincingly. 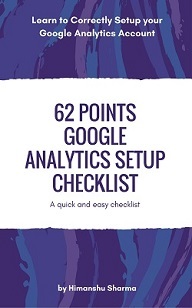 If you want to be a good digital analyst, you have to be good with numbers. Your job would be to analyze the effectiveness of any digital marketing channel such as social media, mobile, or even email. If you can’t figure out if a channel is profitable for a company and you can’t predict how it will grow 30, 60, or even 90 days out, you aren’t cut out to be a digital analyst. Other than being good with numbers, you need to know how to use Excel and PowerPoint so you can help create a marketing plan for your director or VP. Lastly you need to be able to provide insights. Marketers already have enough reports… they are looking for insights. As an analyst you need to help the company gauge it’s overall performance when it comes to digital marketing. If you’re just starting out, I don’t think there is a specific set of skills and qualifications that are required. We hire a lot of “fresh out of college” employees to train and they have a wide range of backgrounds. We’ve hired people with CS backgrounds, Econ, Math, Genetics, Psychology and even History. My degree is in Philosophy. There are a couple of core skills we do look for. We give our employees an Excel exercise and we give them access to SC or GA to do an analysis of our site (sans any training). So we assume that people can learn how to navigate software on their own. We assume that if they don’t know how to do something (and most don’t know how to do the Excel exercise at first), they can figure it out using the Internet and Help. Figuring things out like that is definitely a core skill for an analyst! In terms of the presentation, we look for people who can use the data to draw conclusions not just parrot back reports. They nearly always get the inferences wrong (digital data is complex), but we’re much more concerned that they have the inclination to do that. So from a starting perspective, the requirements and qualifications are very low. But to become a “good” digital analyst? You have to know your tools fairly deeply. Analytics is a craft and tools are the key to craft. You certainly have to understand the digital channel. It’s a huge advantage to have built a Website, run a Google Adwords campaign, or created a social presence. Effective measurement requires a largely intuitive understanding of these things that’s very difficult to create except by actual use. Probably the most important thing is developing a feel for how the numbers work, which are important, and what doesn’t feel right. The best way to develop that skill is repetition – lots and lots of analysis. Finally, I think it’s very hard to become a really skilled analyst without having at least a few framework methodologies. We teach our analysts stuff like Functionalism, Use-case Analysis, and 2-Tiered Segmentation not because they cover every situation (though they are frequently useful), but because they provide handy ways to think about digital behavioral measurement. All my other answers are shorter… promise! What makes a good analyst a great analyst? A good analyst becomes a great analyst when he or she is able to creatively put two and two together. They understand the data and the problem well enough to invent new ways of respectively using them to solve it. The great analyst has a strong imagination and enjoys playing with ideas. As a great analyst, first and foremost you need to learn how to make decisions based off of data versus your gut. In addition to that you have to understand how marketing can ramp up or down or maybe even be cyclical in some cases. All of these factors affect how profitable a channel is and you need to determine if they are worth pursuing. For example, if the marketing team started email marketing campaigns and you know that they are losing you money, you may want to cut the program, but before you do so you need to analyze the channel to get a good understand of when the data shows it can break even and what your long term return on investment will be. The ability to focus on what’s important from a business perspective and the very elusive ability to leap from data to solution. It’s simply mistaken to believe that data suggests action. Data suggests behavior. The appropriate business action must be inferred and that inference is guided by but not the same as analysis. What is the difference between digital analytics & Google Analytics and digital analyst & business analyst? Digital Analyst answers to questions about the success of all of the marketing efforts; not only which campaigns were getting the most attention, but which resulted in the most long-term value to the company. They share analytics tricks with the business intelligence community, addressing more and more data streams from an optimization angle. They use panel data, survey data, customer satisfaction data, retail sales figures, and even weather reports to create predictive marketing models and marketing dashboards for senior executives. My conclusion: So according to Jim, you need to do lot more than Google Analytics in order to become proficient in digital analytics. In a nutshell, digital analytics is the use of data and metrics to gauge the overall performance of a business in regards to their digital marketing efforts. You can do some of the things with Google Analytics, but not all of them. For example, Google Analytics can’t tell you the lifetime value of your customer, or the ROI of your social media spend. With a lot of modifications/custom work to Google Analytics you can get it to provide you with some of that data… but it isn’t an easy task. Confusing GA with Digital Analytics is like confusing a saw with carpentry. As for the difference between a digital analyst and business analyst, I think the distinction is much less clear. There are quite a number of analytic disciplines. I know supply-chain analysts, health-science analysts, and trading systems analysts. Each has to have deep domain knowledge and they work with a somewhat different set of tools. Digital analysts have a specific domain with all that implies, but I’m not sure there is any deeper divide. Which blogs, books and conferences do you recommend to enhance analytical skills? The eMetrics Summit, of course! One blog that I recommend reading is: http://www.kaushik.net/avinash/. Avinash know the analytics space like the back of his hand and he has written some great books on it such as: Web Analytics: An Hour A Day, or Web Analytics 2.0. You can also check out the KISSmetrics blog as we discuss digital analytics. It’s not so easy to improve your analytical skills with any of these – though all are peripheral sources of interest. To really improve your skills you have to practice. I really do think of analytics as a craft. If I was learning carpentry, it’s a safe bet that books, blogs, and conferences would be far down on the list of top learning activities. I tend to think that books that are somewhat broader and outside our discipline are most likely to be interesting and useful. I’m very partial to Stephen Jay Gould and a book like Full House is good reading for an analyst. I’d also recommend the Fog of War – a documentary about Robert McNamara. I think he was a brilliant analyst, and it’s fascinating to see how, with primitive tools, he was able to consistently make the leap to the vitally important points. It’s also, of course, a commentary on all that go wrong with even brilliant analysis. If your more literary, Zen and the Art of Motorcycle Maintenance is an interesting reflection on the importance of craftsmanship. I’ve made these recommendations before – but they hold up because they are fundamentally about analysis and craftsmanship not short-term technologies or industry trends. Naturally I’m partial to the X Change Conference as well. It’s a great place to really get to know fellow practitioners and talk at a pretty deep level. I keep hammering the craft analogy, but the Conference is really designed to facilitate the kind of conversation, mentoring, and sharing that are necessary to craftsmanship. What do you think were the most important developments in digital analytics? The popularization of Big Data. We’ve been doing it for years and now we have a name for it! In 2012 software companies have been focusing on providing much more detailed insight on each individual customer. For example, at KISSmetrics we don’t focus on tracking vanity metrics like bounce rates, instead we focus on tracking people. This way you can get a better understanding of the lifetime value of your customers, or churn, or average time before a customer purchases. If we didn’t have tracking that was based on individual people versus “visitors” we, as well as other software companies, wouldn’t be able to provide you with that data. The emergence of a set of tools and systems for digital personalization. For analytics to matter, it has to drive business change. There’s many ways that can happen, but in digital none is more impactful or ubiquitous than personalization. So while you could make a strong case for something like Hadoop being more important to analytics, in the long run, I think it’s the application of analytics and the opportunities created by personalization systems that is most important. What do you think will be the key trends and challenges for digital analytics? The practical application of Big Data that will make people realize that, while the hype was fun, the actual, practical, tactical use of it is important. As for trends I think there will be much more evolution to people tracking and how digital analytics are tracking individuals and showing that data in an easy to understand as well as actionable format. As for challenges, I think companies are going to have data overload. This means analyst need to do a better job of crunching data for others within the company, and software solutions need to do a better job of providing actionable insights so that analysts have an easier job. Of a piece with my answer above, I think deciding who/what owns the customer profile in digital is going to be the decisive technology battleground . The decision organizations make around that question will ultimately determine the whole shape of their technology stack and much of their organizational structure. There is an old saying “you can’t manage what you can’t measure”. “you can’t effectively measure what you can’t manage”. For example, if you are measuring the performance of a SEO campaigns, you must know how SEO works in the first place. You must know about the latest and greatest in the field of Search. You must know all about: Google Panda, Penguin, Link Building, Authorship, semantic markups, best practices etc. If you don’t then this lack of knowledge reflects in your recommendations which are the most important part of any analysis. Without solid recommendations any analysis has no commercial value as it can’t move the corporate needle. 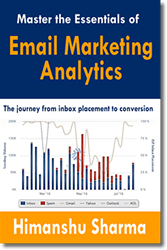 Needless to say, marketing and analytics complement each other. You can’t be good in either without a great understanding of both disciplines. I also believe that you need a great understanding of statistics in order to be good in analytics. I was suggested to learn the basics of accounting once, in order to hone my analytics skills. But I think this skill is more relevant to people who are into business intelligence. Regarding preparation for GAIQ test, the best place to learn is Analytics Academy, the second best place is Google Analytics itself. Without practical knowledge you will have hard time passing this test. 1. Official Google Analytics blog – must read blog to know the latest in the field of Google Analytics. 2. OptimizeSmart – I am biased here. But the blog is all about analytics. 4. Occam’s Razor – one of the best blogs on web analytics. 1. 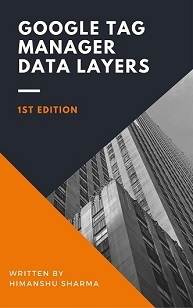 Microsoft Excel Data Analysis and Business Modeling – This is my favourite book on data science. 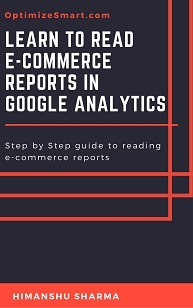 This is a great book to learn the statistics which really matter for digital analytics professionals. I highly recommend it to any existing/aspiring analyst. 2. 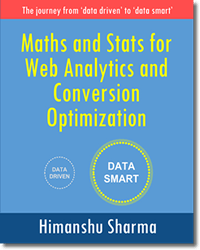 Maths and Stats for Web Analytics and Conversion Optimization – I am biased here, as I am the author of this book. But this is only book ever published which explains maths and stats in the context of Web Analytics and Conversion Optimization. 3. 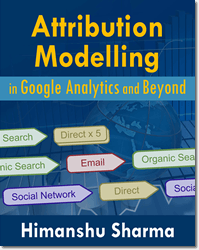 Attribution Modelling in Google Analytics and Beyond – I am biased here, as I am the author of this book. But this is only book ever published on Attribution Modelling. 4. 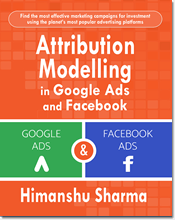 Attribution Modelling in Google Ads and Facebook – I am biased here, as I am the author of this book. 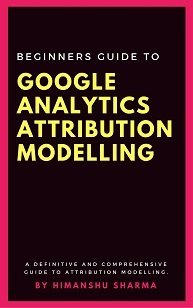 But this is only book ever published on Google Ads and Facebook Attribution Modelling.